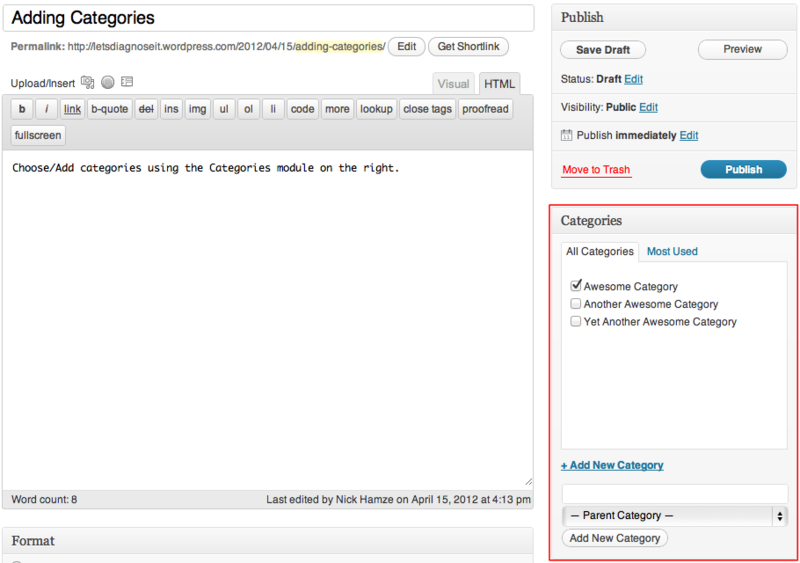 Depending on the theme and widgets you have activated, categories can be displayed at the top or bottom of posts, on the individual post view, and/or in the sidebar. 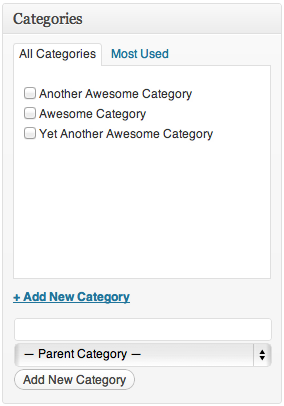 You can assign multiple categories per post (you must assign at least one), and categories can be organized hierarchically. Category slug – The “slug” is the URL-friendly version of the name. It is usually all lowercase and contains only letters, numbers, and hyphens. 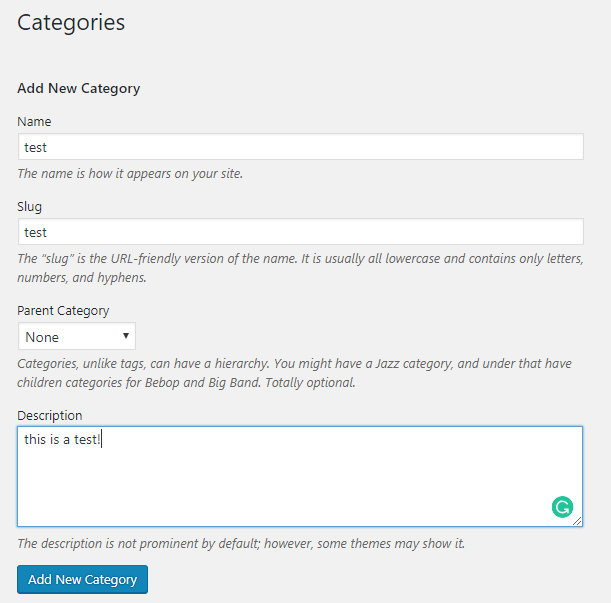 Category parent – If you want to nest a category within a category, select the parent category. Otherwise leave atNone. If you click on Edit you will be taken to a separate page where you can edit the name, parent, and description. This functions exactly the same as adding a category. 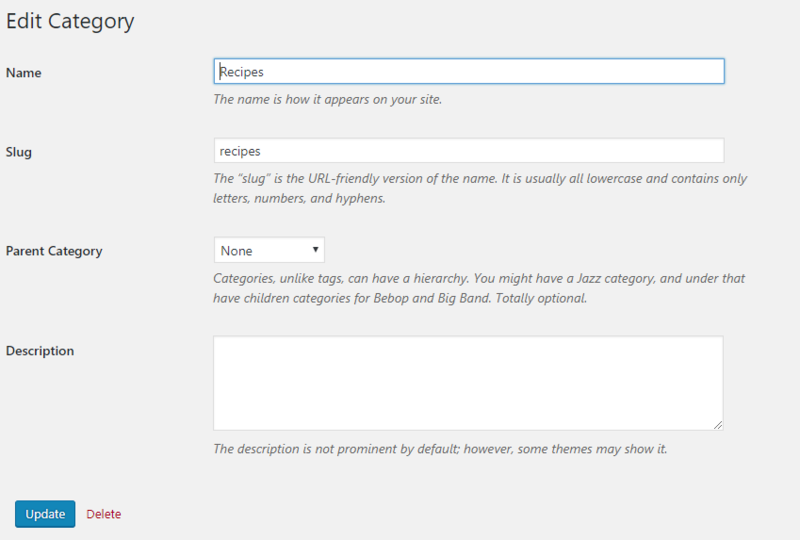 Note: You cannot delete the default category, but you can change the name and URL slug. Once you have selected the categories you want to delete, select Delete from the Bulk Actions menu, and then clickApply. The categories will be deleted. When a category is deleted, all posts that were only in that category will be assigned to the default category. If a post was also in other categories it will remain untouched.